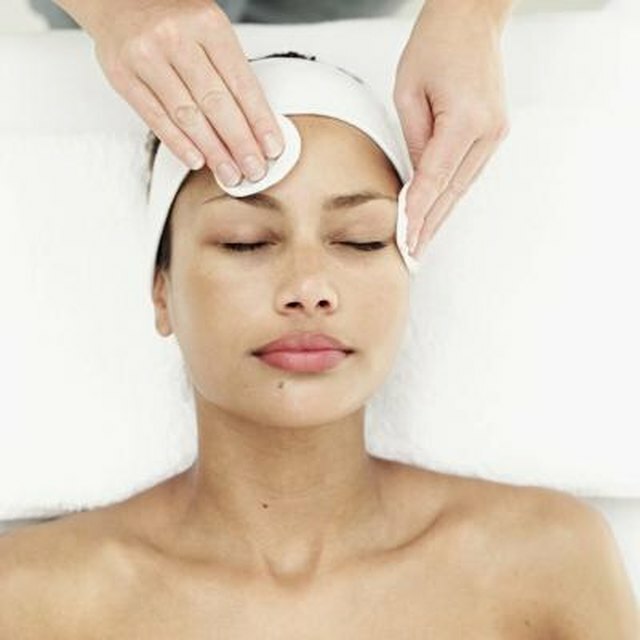 Microdermabrasion may reduce the appearance of age spots. The term “age spots” is not entirely accurate. Also called liver spots, they can develop as early as childhood, according to the American Society for Dermatologic Surgery. No matter what age you are, the spots may affect your overall self-esteem and quality of life. Microdermabrasion is just one of the treatment options that you may discuss with your dermatologist. Microdermabrasion works by gently peeling away the top layer of skin with fine crystals. Microdermabrasion is often referred to as a power peel, because of noticeable changes in texture and appearance following each treatment. The in-office procedure may not erase age spots completely, but it can reduce the appearance of them. The goal of microdermabrasion is to slough away dead skin cells to minimize the appearance of superficial skin problems. Dermatologists often choose a type of treatment that uses crystals made of magnesium, sodium bicarbonate or sodium chloride. They can also use corundum, which uses aluminum oxide crystals, or sandpaper instead of the traditional crystal peels. Microdermabrasion treatments last about 20 to 30 minutes per session, and several sessions may be required. Microdermabrasion is a seemingly simple procedure, but it still requires prep work to ensure desirable results. Discontinue using harsh ingredients -- such as Retin-A, glycolic acid or salicylic acid -- on your skin at least a week before the procedure. Avoid sun exposure two weeks before your appointment . UV rays enhance the appearance and number of age spots and can also make your skin more sensitive to irritation during microdermabrasion. The Cleveland Clinic says you may get the desired results after six to 12 sessions, with each treatment scheduled one to two weeks apart to prevent dryness and irritation. Compared with other types of cosmetic procedures, microdermabrasion has a relatively quick recovery rate. Immediately after the procedure, you’ll likely experience pink or red skin. The treatment area may also feel like a sunburn in some patients. However, because microdermabrasion is not an invasive procedure, you don’t need to take time off work to recover.